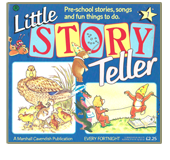 A collection of songs and stories for pre-school age children, introduced by a team of animal characters featuring a pair of frantic hamsters. 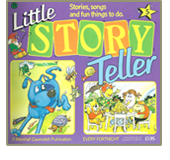 Music by Tim Cross. 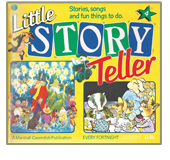 I used to listen to it over and over again and drive my sister crazy singing the magic mountain song. 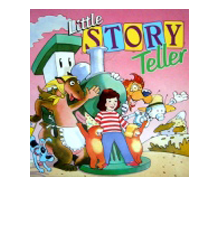 In fact I still sing it to her!! 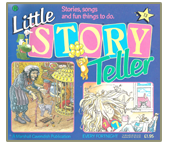 Little Story Teller was a 26-part series for young children. 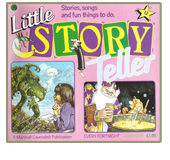 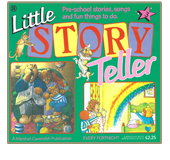 Many of the stories in Little Story Teller feature the adventures of the inhabitants of the Magic Mountain, which include Leroy the Lion, Dotty the Dragon, and Morris and Doris the hamsters.